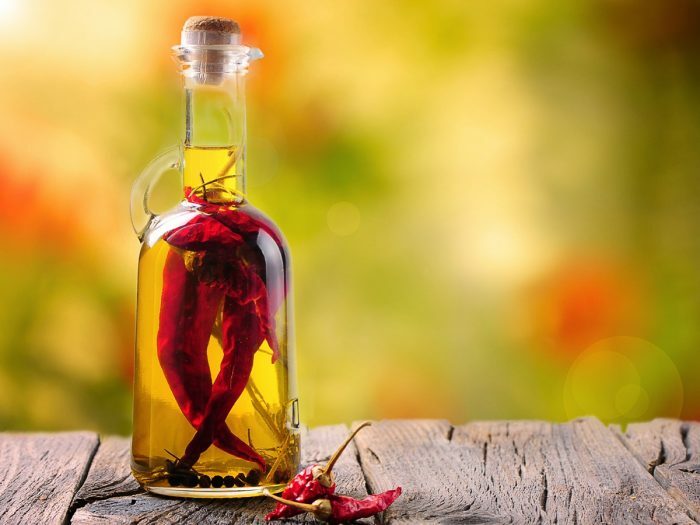 Chili oil is one of the easiest oils to make at home, as it requires nothing but a vegetable oil of some kind (olive oil is popular) and your chili peppers (dried or fresh) of choice. In different parts of the world, chili oil may be prepared with a more complex recipe, or involve multiple oils and other spices, but a traditional chili oil is extremely simple. So if you are looking for a simple recipe on how to make chili oil at home, look no further! If you like your food spicy, get ready to get addicted to this! Add the oil and sliced chili peppers into a frying pan. Fry the chili peppers in the oil for at least 10 minutes on medium heat. Strain the oil into a glass jar and allow to cool. Store the oil in a dry, dark and cool place. Alternatively, you can infuse olive oil with chili peppers. For this, in a clean glass jar or bottle, add 1-2 chili peppers, depending on how spicy you would like it. In a pan, heat a cup of olive oil until it begins to smoke. Remove the pan from the heat and allow the oil to cool down. Now, carefully pour the oil into the glass container with the chili peppers. The oil can keep in this airtight container for six months. The chili pepper will infuse the oil over time, making it deliciously spicy. You can even add fresh, whole black peppercorns to the oil. An even more potent oil preparation can be made by extracting the oil from the seeds of chili peppers. 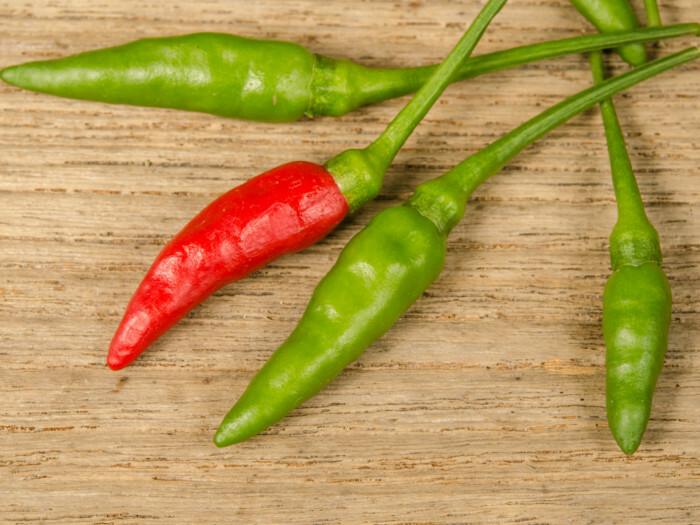 The “heat value” of the oil will depend on the type of chili pepper you choose. You can use chili oil to flavor rice and noodle dishes. If you like your food spicy, you can add a dash of your home-made chili oil to meats, curries, pasta, and salads too.